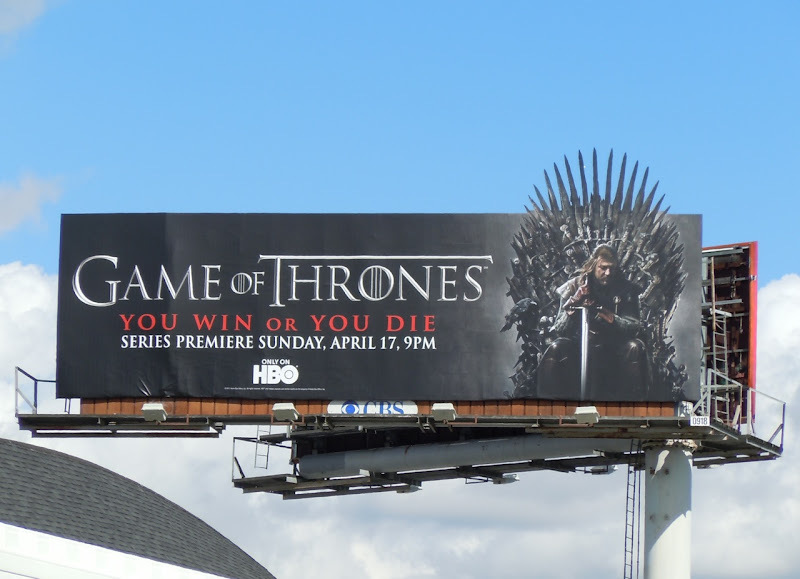 Sean Bean looks like he's channeling his inner-Boromir for his new small screen medieval fantasy TV epic, Game of Thrones. 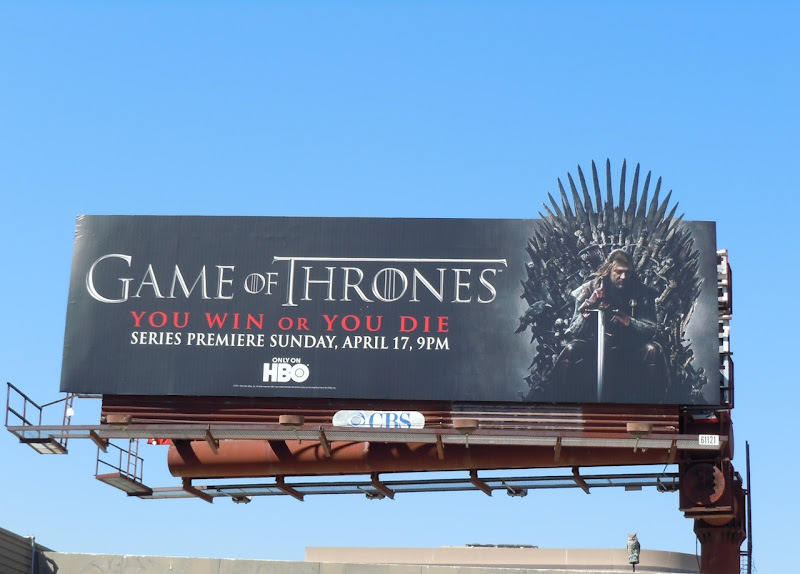 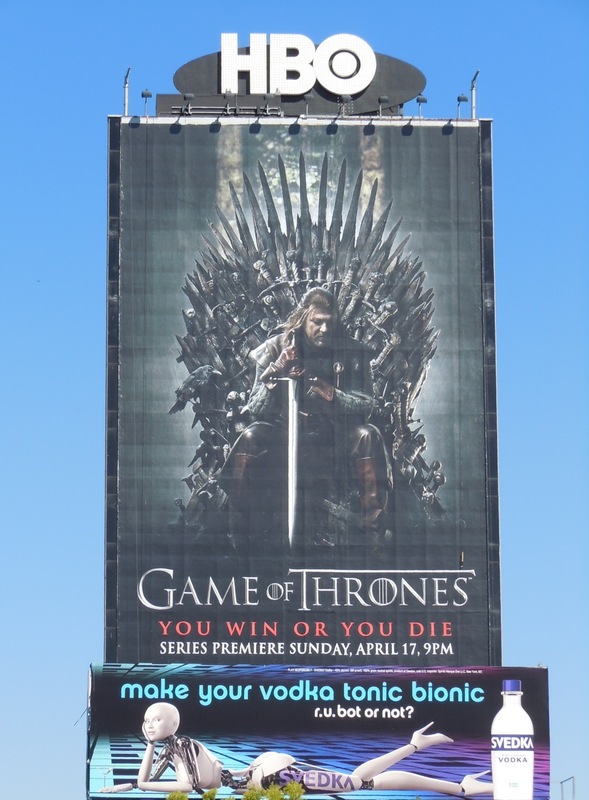 These billboards certainly catch your eye, especially with their bold, black design and that impressive spiky Iron Throne sticking out the top. 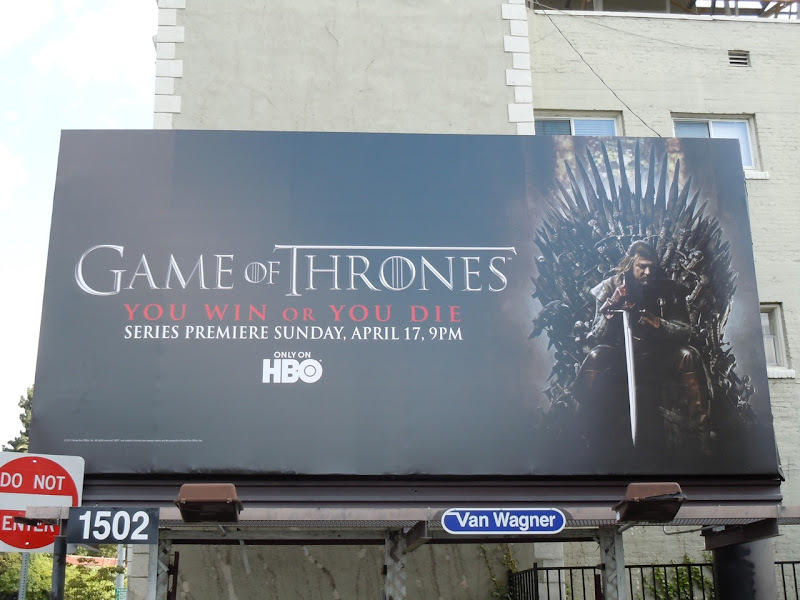 Sean Bean stars as Eddard 'Ned' Stark in this new series about the violent dynastic struggles among noble families to claim the throne of Weteros, based on George R. R. Martin's best-selling A Song of Ice and Fire novels. 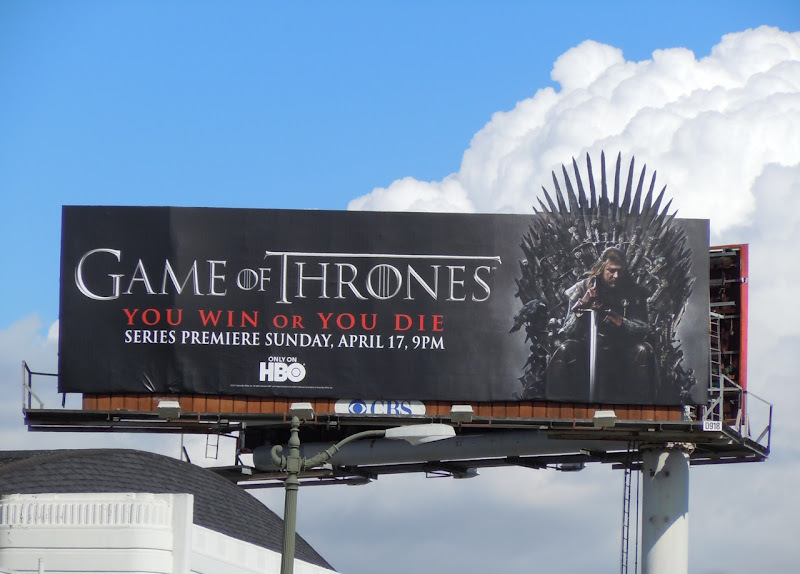 These fantastic billboards were snapped all around L.A. throughout March 2011, from La Cienega and Pico Boulevards, to Fairfax Avenue and the giant version along Sunset Boulevard.